The second at The Loop Red is a 551 yard par 5. A view from the second fairway at The Loop Red. The third at The Loop Red is a 414 yard par 4. The fourth at The Loop Red Course is a 187 yard par 3. The sixth at The Loop's Red Course is a 125 yard par 3. The seventh at The Loop's Red Course is a 362 yard par 4. The eighth at The Loop's Red Course is a 442 yard par 4. A view from the Fairway on The Loop's par 4 eighth. 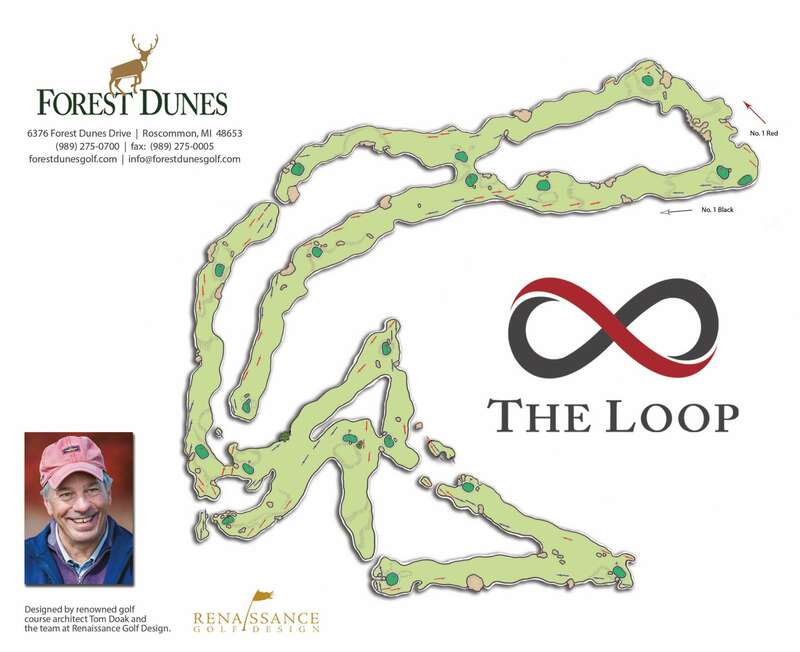 The ninth at The Loop Red is a 630 yard par 5. The tenth at The Loop Red is a 472 yard par 4. The eleventh at The Loop is a 222 yard par 3. The twelfth at at The Loop Red is a 312 yard par 4. The thirteenth at The Loop Red Course is a 544 yard par 5. The thirteenth at the Loop Red Course from the Fairway. The sixteenth at The Loop Red is a 468 yard par 4. The seventeenth at The Loop Red is a 184 yard par 3.